Hi all, it's been a while! The reason that we didn't publish as often as we would like to is because (insert excuses here). Haha, really, we are all a bunch of grad students/young workers here, so gotta work hard to impress the boss sometimes, and sometimes real life also gets in the way. But here we are, bringing you another issue of Chef Says. 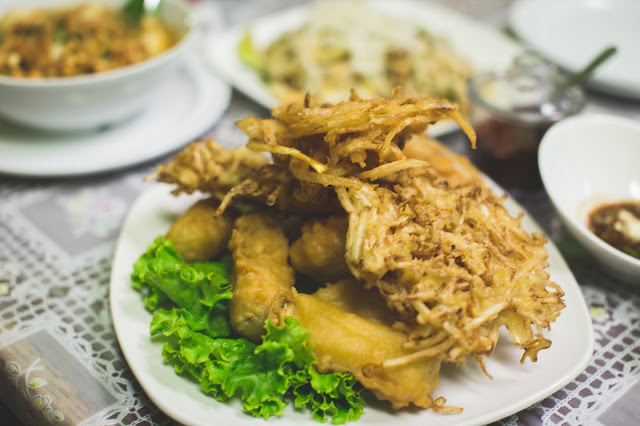 In this issue, we will discover a very special kind of food (that is not well known but has a huge potential to become popular world wide) -- Burmese food. In the subsequent issues of Chef Says, we will explore this very special class of food more extensively. One of our staff members, Zaw, is a well-respected and superbly knowledgable Burmese food expert, so we would be very glad to share his wisdom with you all. "Of all the fruit, the mango's the best; of all the meat, the pork's the best; and of all the leaves, laphet’s the best." 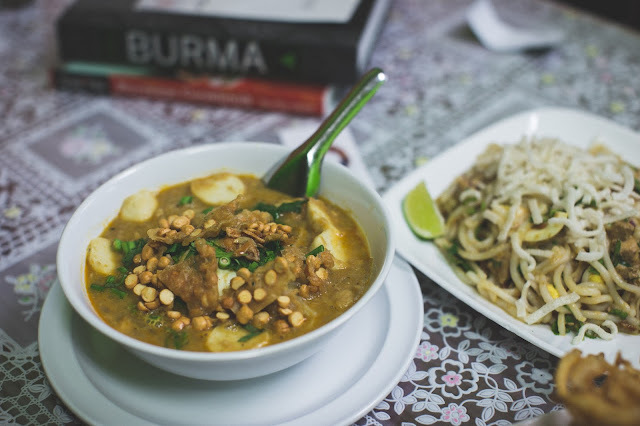 What makes Burmese food special? A lot of people are familiar with Thai and Vietnamese food since they are the two most popular Southeast Asian cuisines in the western world. However, not many know about this unique and hidden gem of Southeast Asian food that we are about to talk about today: Burmese. The geography plays a large role in the cuisine. 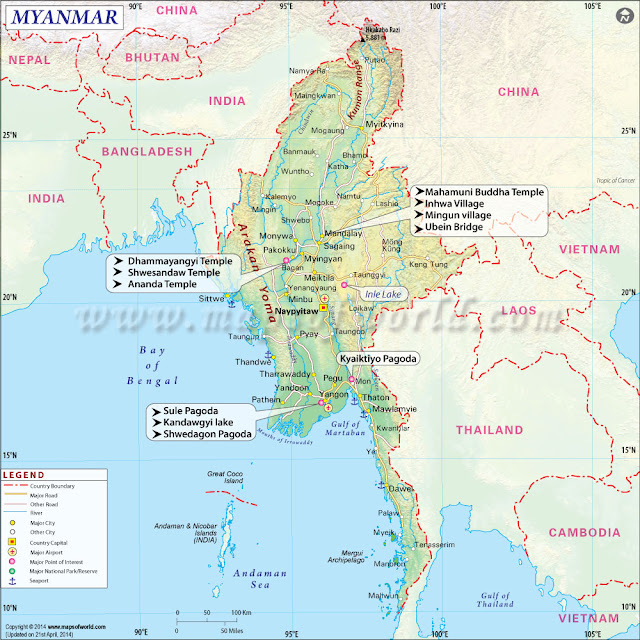 Myanmar (formerly known as Burma) is bordered by Thailand, India, and China, so you can easily see their influence on the Burmese cuisine. In the cities, you’re just as likely to find shops selling Chinese dishes such as congee or chow mein next to a shop specializing in Indian dishes such as biryani. 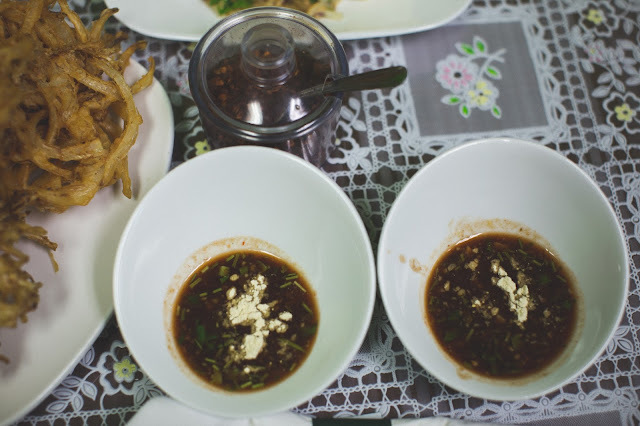 Like other Southeast Asian countries, Burmese cuisine uses plenty of fish sauce, dried shrimp, and fermented shrimp paste. All three ingredients are often combined to be used in cooking soups, stews and curries. 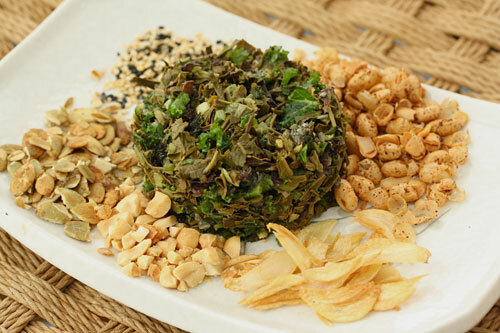 In addition, a good Burmese kitchen pantry has many other condiments including garlic oil, crispy shallots, garlic chips, toasted chickpea powder, tamarind dressing, etc. Often the condiments serve to add texture, spiciness, or as palate cleansers. The food is not spicy but usually there is a side of chilies served at most meals to taste. Below is a picture of crispy garlic chips. A Burmese meal is centered around rice with many side dishes, including curries, vegetable dishes, and broths. A good Burmese meal should be balanced. 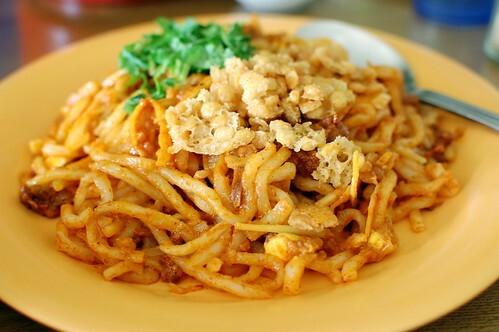 Mohinga to Burmese food is like Pho to Vietnamese food, or Gyro to Greek food -- it is the national dish of Burma. Mohinga is a fish chowder thickened with ground rice powder. The soup is flavored with onions, garlic, ginger, and lemongrass. It is an aromatic, rich and flavorful dish that exemplifies the taste of the ocean. We went to Friends Cafe in St Paul, MN for their Mohinga dish. We also ordered a noodle salad (right) to go with it! Although considered a breakfast dish, there are roadside stalls and cafes that serve this all day long. It’s a perfect snack or meal any time of the day. The best part are all of the condiments that go with it, which are usually fried gourd or fried split peas. Chili powder and lime can also be added to taste. Burmese curries are a very unique thing. Whenever you hear the word curry, you immediately think of spices as a base. However, Burmese curries are mainly onion and oil based. Chopped onions are cooked with oil with some garlic, ginger, turmeric, or masala. The Burmese word for curry is “sipyan,” translated to “oil returns,” which gives a hint as to how it is cooked. The onions are cooked in lots of oil at a low heat, where at first the onions absorb the oil, then afterwards the onions are softened and caramelized enough that the oil is released and forms a sort of thick emulsion with the oil. There are signature curry recipes for almost every meat or seafood. Seafood curries with shrimp or fish generally have a tomato based sauce. In the next issue of Chef Says, we will teach you to make a Burmese shrimp curry. Stay tuned! But here's a sneak peak! Another staple of Burmese cuisine are roselle leaves, which are cooked on their own as a vegetable dish or used in soups. Tart and refreshing, it pairs very well with the rich curries or spicy foods. We have already covered this in #LEARNABOUT Vol 5.1. Make sure to check it out! Another mainstay of Burmese cuisines are salads with lots of textures served at room temperature. One common dressing is tamarind dressing. Many noodle salads also include toasted chickpea powder, which give them a nutty flavor. The key with salads is textures--there is often some sort of crunchy deep fried item or crunchy vegetables in the salad. So who's ready for some Burmese food? !